The World's Cheapest Michelin-Starred Restaurant is Now in Manila! Roast meats are available in most Chinese restaurants in Manila. If you want some, you won’t have to scour far and wide to find one. So when I saw that Hawker Chan will be opening a branch in the Philippines, I was both excited and skeptic. Excited because there’s a new restaurant to try in town, and skeptic because how can something so common and simple taste better than ordinary? 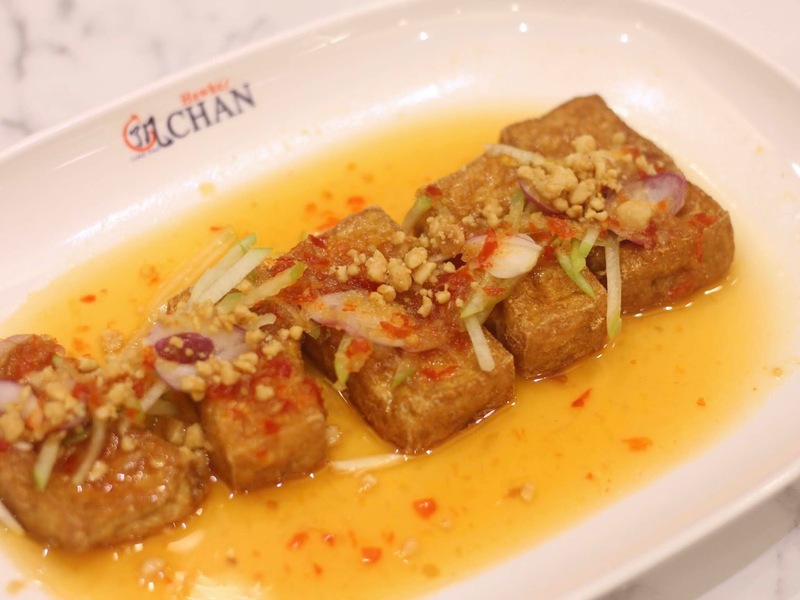 Hawker Chan is a restaurant from Singapore founded by Malaysian chef Chan Hong Meng in 2009. 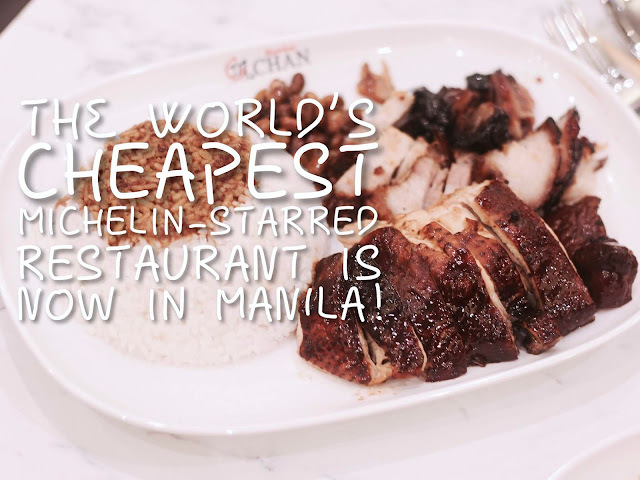 The restaurant has since been famous for its soya chicken rice, and has found its way to becoming the cheapest Michelin-starred restaurant in the world by the year 2016. 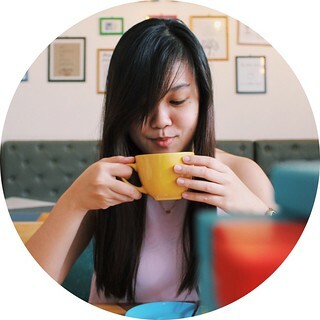 This year, Hawker Chan has finally arrived in Manila, through The FOODEE Global Concepts’ efforts to bring delicious, quality food that every Juan can enjoy. We started the night by having the Thai Style Tofu. It was a surprisingly good appetizer, with the soft tofu being topped with sliced green apples, peanuts, and onions, served on a bed of sweet and chill vinegar that packs a slight kick that lingers on the lips. We all agreed that it’s impressive how they were able to transform a simple and bland tofu into something good. 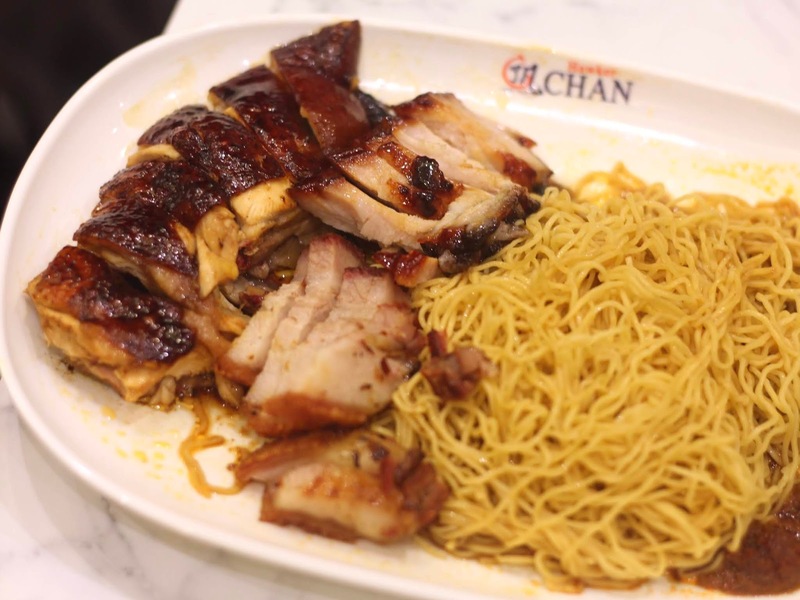 We were served with the 3 combination platter consisting of char siew, roasted pork, and the star of the franchise, soya chicken. You can just order rice or egg noodles, since this platter does not come with any. All of the meats tasted amazing. It was hard for me to choose a favorite. The soya chicken really was absolutely delicious, but the roosted pork and char siew are not lagging far behind either in terms of taste. I loved the nice crisp from the roasted pork’s skin, plus the saltiness that went so well with their chilli-ginger vinegar. The char siew was so flavorful and tender, and the soya chicken had this taste I haven’t gotten from any other ones I’ve tried before. All the calories I consumed (especially that huge cup of rice I almost finished) were all worth it. There isn’t anything I can complain about Hawker Chan. The serving size, the price, and the quality of food are all greater than what you pay for. I definitely see myself coming in and out of this restaurant several times a year for as many years as possible, and I’d still be ordering their 3 combination platter. P.S. 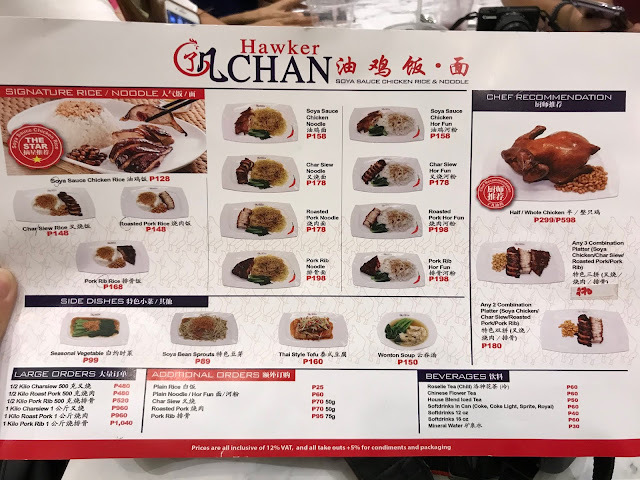 If the original Hawker Chan serves better tasting food than the ones they serve here in Manila (like what they usually say about franchises), then I just can’t imagine how heavenly that would taste.